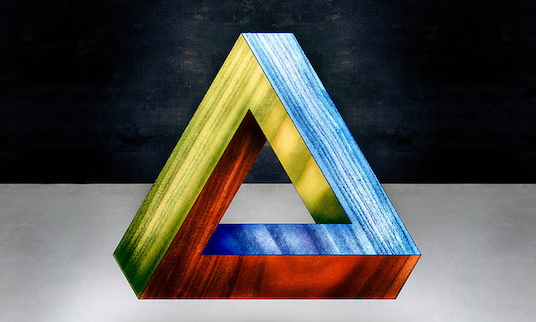 On translation as an impossible object, and the possibility of a direction. Today, we continue our spotlight on the winners of Asymptote’s annual Close Approximations translation contest, now into its third edition. (Find the official results and citations by judges David Bellos and Sawako Nakayasu here.) From 215 fiction and 128 poetry submissions, these six best emerging translators were awarded 3,000 USD in prize money, in addition to publication in our Summer 2017 edition. After our interviews with poetry runners-up Keith Payne and Sarah Timmer Harvey, we are thrilled to bring you poetry winner Anca Roncea in a short but illuminating conversation with Asymptote Assistant Interviews Editor, Claire Jacobson. Anca Roncea is a poet and translator. She is a recent graduate of the Iowa Writers’ Workshop and is currently attending the University of Iowa’s M.F.A. program in literary translation. In 2012–2013 she was a Fulbright visiting scholar at UC Berkeley. She was born and raised in Romania and now lives in Iowa City where she writes and translates poems. She is working on translations of Romanian poetry, an experimental translation of Tristan Tzara, as well as her first book of poetry. She explores the space where language can create pivots in the midst of displacement while incorporating the aesthetics of Constantin Brancusi. She is the 2017 winner of the Omnidawn Single Poem Broadside Contest. Her work can be found in Omniverse, Berkeley Poetry Review, Beecher’s Magazine, and The Des Moines Register. 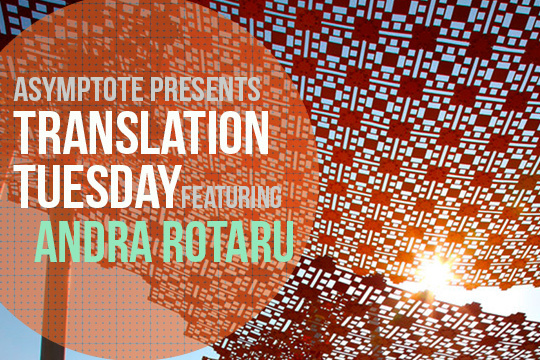 Close Approximations poetry judge Sawako Nakayasu writes, “I’m thrilled to have selected this year’s winner for poetry: “wrong connections” by Andra Rotaru, in Anca Roncea’s excellent translation from the Romanian. I love how this work reads like a film that can only take place in the mind of the reader. The scenes (I read them like scenes) carry you through a changing landscape that can be menacing, historical, scientific, or downright violent—all in torqued connection with each other like the “incorrect connections” of the tribar. Claire Jacobson (CJ): In your translator’s note you refer to the tribar, or “the geometrical concept of an impossible triangle whose three sides do not connect but still exist in the form of a triangle, creating a direction for movement.” What are some ways you see Andra Rotaru’s work embodying the “wrong connections” of this impossible shape, and how have you recreated those moments in English? 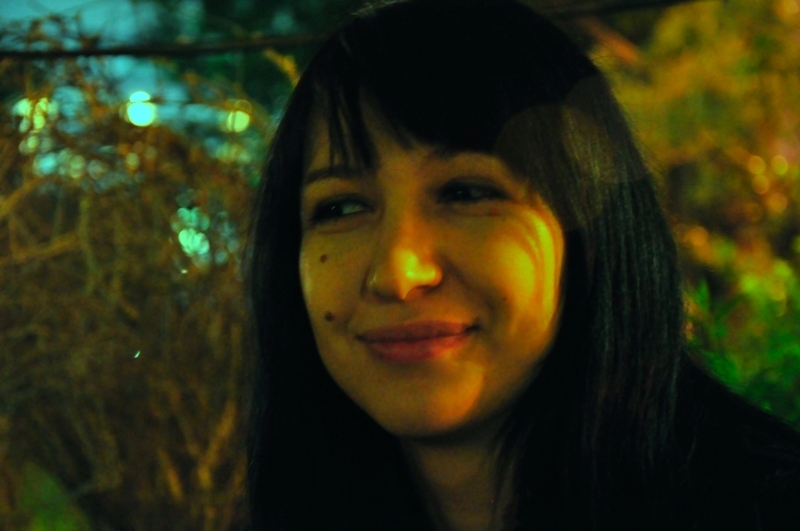 Anca Roncea (AR): I think that in some ways Andra’s “wrong connections” in her tribar here are speaking to the interesting ways that poetry works to create human experience. It made me think of one of Lyn Hejinian’s lines in her book My Life that says: “You put two things next to each other they start resembling each other.” In Andra’s poems there are strong tactile images next to visual memory next to literary quotes and even descriptions of chemical elements and they all connect and speak to each other even though they technically shouldn’t, but together form an experience. In the translation process, I tried to make the images as visceral as possible because I knew the connections would come through the more the reader could experience these different elements. CJ: Can you talk about the shifting format of these poems? Moving from citation to almost-prose to definition and back to free verse, how did you maintain the threads of connection between these disparate elements? AR: That was one of my favorite things about this poem in the Romanian—the fact that the text felt free enough to move through all of these different formal gestures to express what it needed to. One of the biggest challenges was that in Romanian there were quotes in English, and the question was whether to show that and how to do it. In Romanian, the quotations sounded to me like an external voice that comes in the text and is somehow able to be inhabited by the speaker and become part of the tribar, and in English the graphic gesture of leaving them in quotes and citing the author in addition to the change in tone in those moments came through in a very similar way. CJ: Do these citations—among them Bruno Ernst, Aldous Huxley, and Anne-Marie Blanchard—have significance to a Romanian readership? How does this linguistic and cultural cross-pollination affect the way these poems are perceived? AR: I couldn’t speak for every Romanian reader but I think it’s different for every one of them. Aldous Huxley might be more recognizable than Susan Howe in Romania, but what I found interesting about these citations is the fact that it shows a poet who is influenced by and in conversation with a range of genres and discourses across time and space from 20th century fiction to 21st century poetry to psychology. You really get to see how the poem is in conversation with what the poet is reading and thinking about. CJ: You write in your translator’s note, “The poems shift from the movement and breath of a child’s body—the powers and limits of her movement—to those of a dead, ghostly body—its visibility and invisibility.” How do these images interact and overlap throughout the work? AR: These antithetical images I think connect through how visceral they are. You really see and hear what the child is going through even if you don’t get a narrative of these scenes they play out in the senses—it’s almost an inner perspective which then shifts to an outer perspective when death comes in the poem, but the speaker is still using senses to connect by hearing and feeling their way through. I think it gives the whole work presence in a different way than what I have seen before in Romanian poetry, and it ultimately felt much more haunting to me. We’re currently raising funds for the next edition of our annual translation contest. If you’ve enjoyed this showcase and would like to support us in our mission to advocate for emerging translators from underrepresented languages, consider a one-time tax-deductible donation (for Americans) or join us as a sustaining member today! less than 36 days since we haven’t talked to each other. than 360 degrees can the body rotate still. when we no longer know. I had before my eyes the heavy skin. like some sort of shock-proof wood. it had developed a sheen and enamel. do not wake up. a man’s body is attaining perfection. I’d press them till neither the blood nor the lymph. but soft wood we can keep banging on. you tell me take care what you dream. since my skin’s ever whiter.